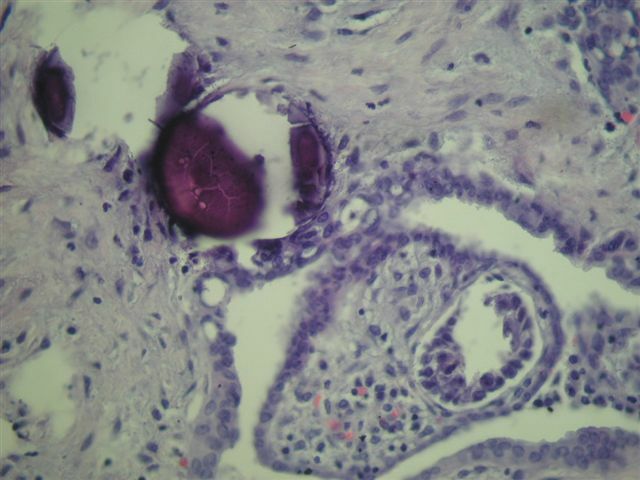 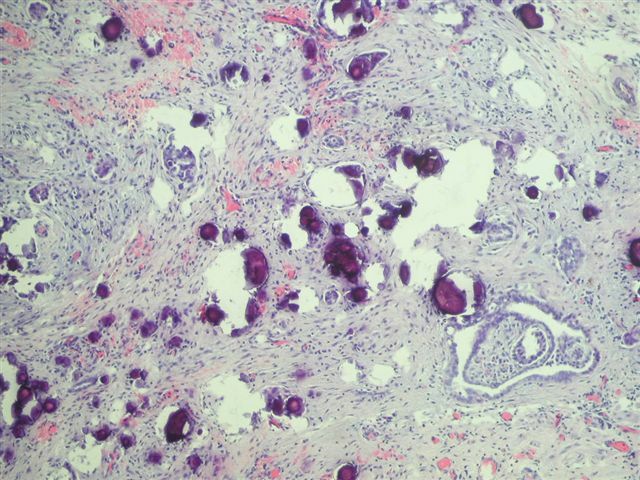 A 44 year old woman clinically had extensive tumor deposits on the omentum and serosal surfaces of the uterus, ovaries and Fallopian tubes.� A total abdominal hysterectomy, bilateral salpingo-oophorectomy was performed. 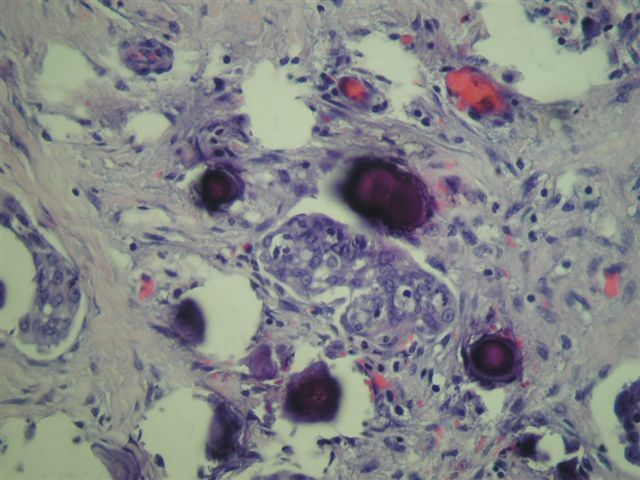 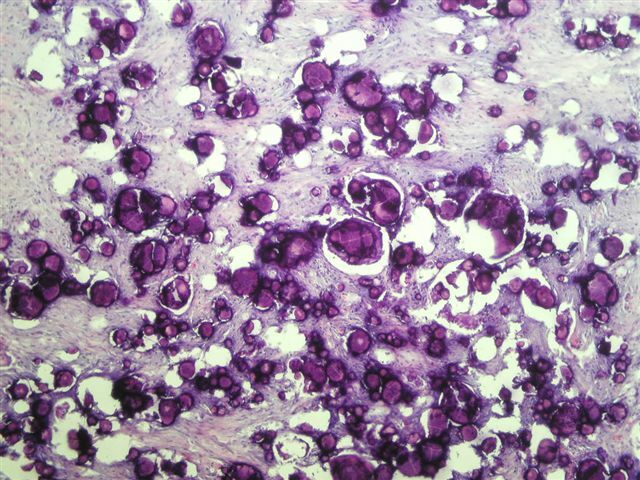 In all sites examined, the tumor was composed primarily of psammoma bodies with intervening areas of fibroblastic proliferation and small clusters of epithelial cells.� Only mild to moderate atypia was present.� Mitotic figures were absent or rare. 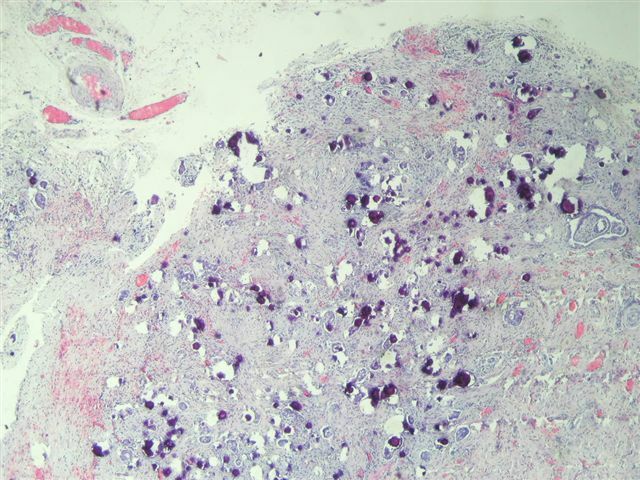 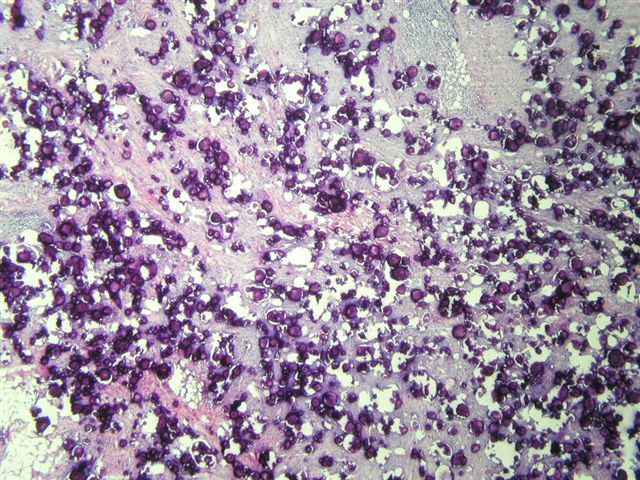 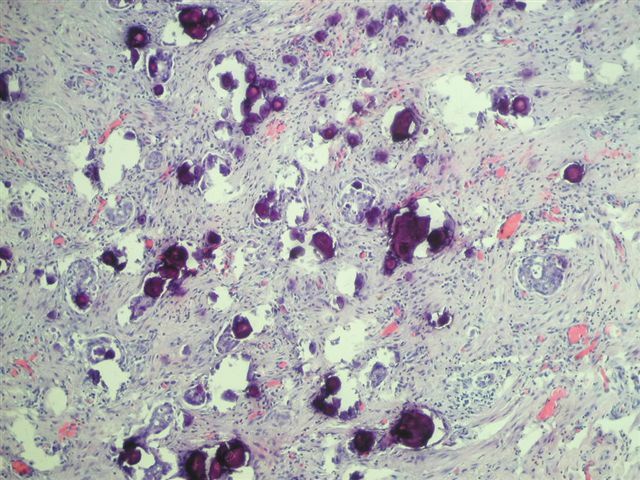 Psammocarcinoma, first reported in 1990 (Int J Gynecol Pathol 1990;9:110), is a rare variant of either peritoneal or ovarian serous carcinoma characterized by massive (75% or more) psammoma bodies.� Cytologic features are low grade, and mitotic figures are absent or rare.� Extraovarian tumor implants may be present, and the tumors are often stage III.